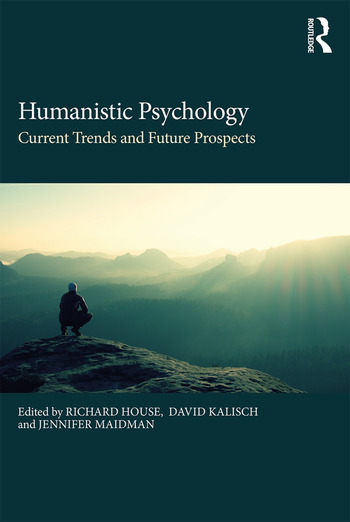 This book provides a thought-provoking examination of the present state and the future of Humanistic Psychology,　showcasing a rich international contributor line-up. The book addresses head-on the current state of a world in crisis, not only placing the current conjuncture within a wider evolutionary context, but also demonstrating the specifically humanistic-psychological values and practices that can help us to transform and transcend the world’s current challenges. Each chapter looks in depth at a variety of issues: counselling and psychotherapy, creativity and the humanities, post-traumatic stress, and socio-political movements and activism. The book amply confirms that Humanistic Psychology is as alive, and as innovative and exciting, as it ever has been, and has tremendous relevance to the uncertainties that characterize the unprecedented individual and global challenges of the times. It celebrates the diverse and continuing significance of Humanistic Psychology by providing a robust and reliable roadmap for a new generation of counsellors and psychotherapists. In these richly diverse chapters will be found inspiration, pockets of resistance, mature critical reflexivity and much much more - a book accurately reflecting our present situation, and which is an invaluable addition to the psychology literature. 1 What is Humanistic Psychology? Richard House, Ph.D., C.Psychol. is a Chartered Psychologist, an educational consultant, a political activist, and long-time campaigner on childhood issues and Steiner education. Formerly senior lecturer in psychotherapy (Roehampton University) and education studies (Winchester), a counsellor-psychotherapist and editor of Self & Society journal, his eleven previous books include Therapy Beyond Modernity (2003) and Too Much, Too Soon? – Early Learning and the Erosion of Childhood (2011). David Kalisch, MA (Cantab), UKCP, UKAHPP (Aff. Memb.) is a psychotherapist, supervisor and trainer with nearly 30 years’ experience in gestalt, humanistic and core process therapies. David has been co-editor of Self & Society journal since 2011, and co-edited (along with Richard House and Jennifer Maidman) The Future of Humanistic Psychology (2013). He is Director of CHPC Training. Jennifer Maidman, (Dip Couns, MBACP) is a British musician, singer, producer, and songwriter who has worked extensively with many well-known groups and artists, including Paul Brady, Van Morrison, Bonnie Raiit, Mark Knopfler, Robert Wyatt and Annie Whitehead. She was a key member of the Penguin Café Orchestra. She also trained as a humanistic counsellor with Noreen Emmans and Jimmy McGhee, and has written for Therapy Today, Asylum, and Self and Society. She co-edited The Future of Humanistic Psychology (PCCS, 2013) with Richard House and David Kalisch. "Readers will find in these very diverse chapters inspiration and encouragement, pockets of resistance and instances of abdication: the book accurately reflects our present situation and is invaluable for that reason"
Manu Bazzano, psychotherapist and supervisor in private practice. primary tutor at Metanoia Institute, London, and visiting lecturer at the University of Roehampton.